Allaah granted him wisdom and Prophet-hood. Allaah granted him knowledge and praised him – this noble Prophet- due to Prophet-hood and knowledge. O my brothers! 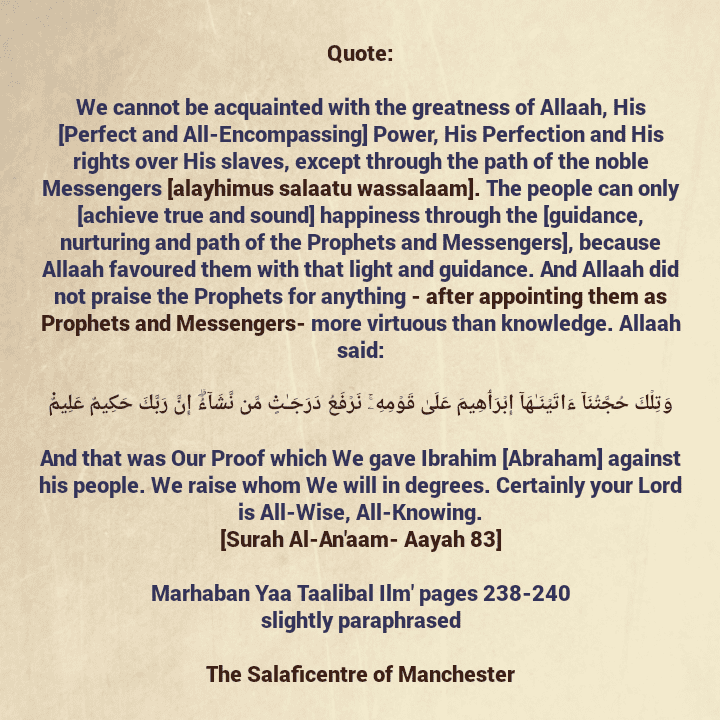 Look at how Allaah [Glorified and Exalted be He] praised His Prophets and Messengers, and specifically mentioned knowledge as one of their great and lofty qualities, because it is their most virtuous quality; rather it their best qualify after being appointed as Prophets and Messengers. Al-Hudaa [Guidance] is beneficial knowledge and Deenul Haqq [the religion of truth] is righteous action. And Allaah gave the Messenger superiority and likewise this Ummah over all religions by way of this Knowledge [i.e. the final revelation]. 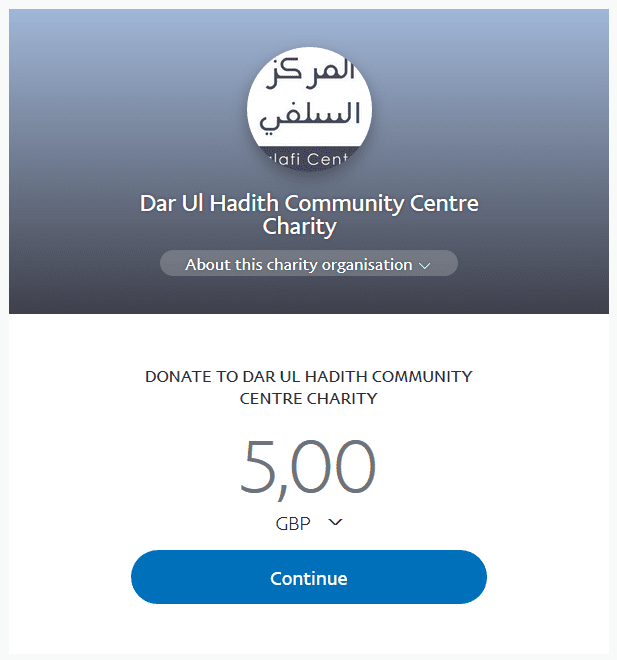 Allaah praised the Messenger and the Ummah due the knowledge and wisdom [given to them]; purified them [from the filth of disbelief and polytheism] and saved them Misguidance by way of it. They used to be in a state of extreme darkness – [upon acts, beliefs, ideas and manners] of the Pre-Islamic era of ignorance and Misguidance, then Allaah saved them through Muhammad and the guidance he brought, and [though] the knowledge [of the revelation] that purifies the souls and hearts. It is only those who have knowledge among His slaves that fear Allah.